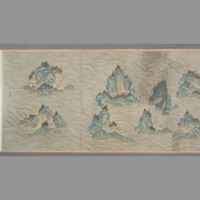 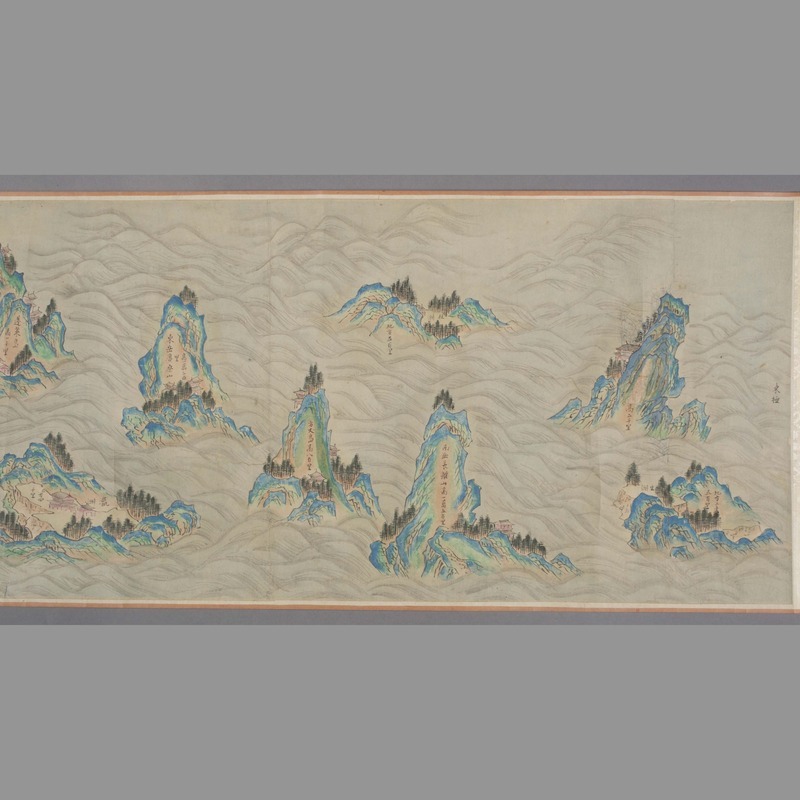 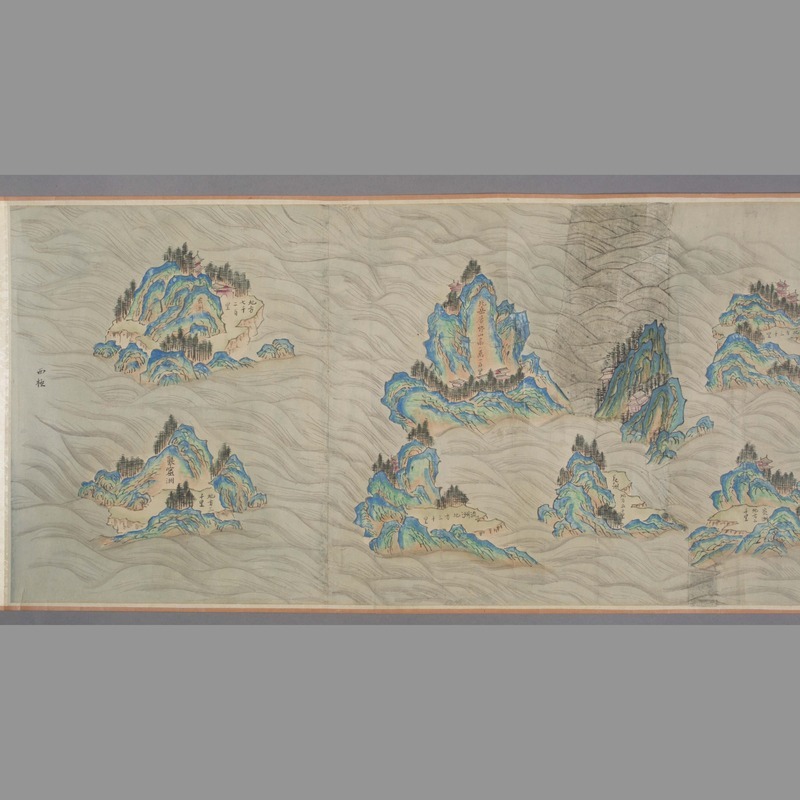 One horizontal painting of a seascape with islands, which depicts the Taoist mountains and isles. 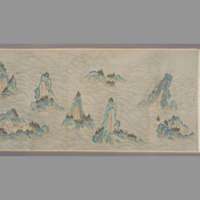 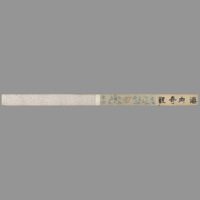 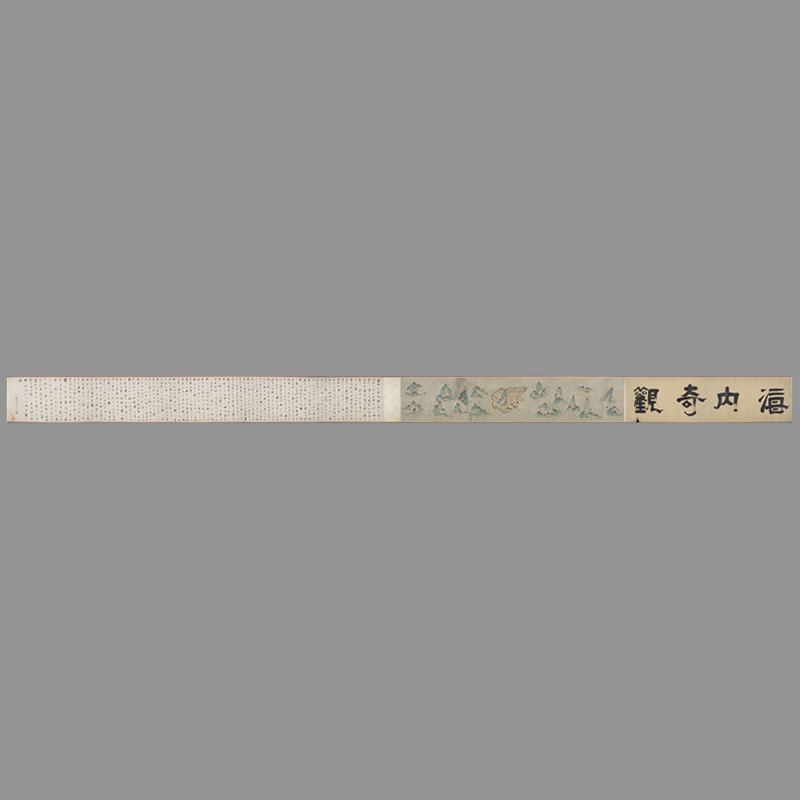 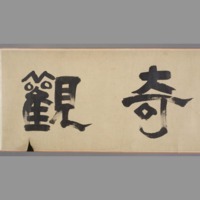 The long colophon is an explanation of the painting, describing five yue (high mountains), three shan (mountains or hills), and ten zhou (islands). 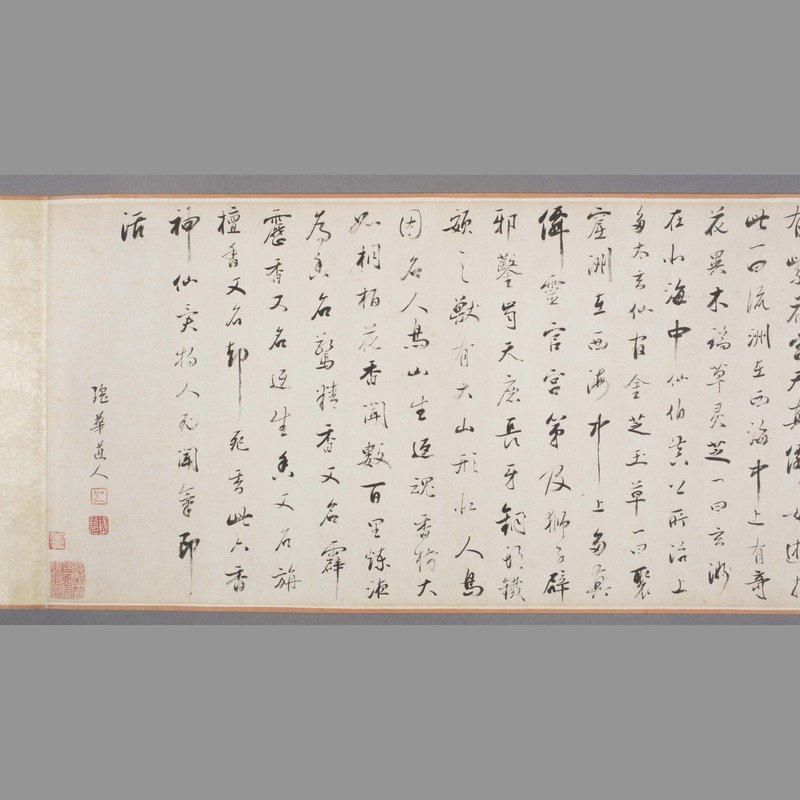 The literary content of the colophon is based on the Great Mystery (Taixuan太玄部) section of Taozang 道藏 (Taoist Canon) with many modifications. 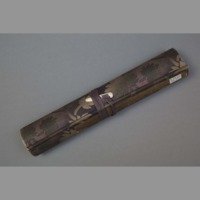 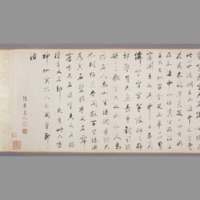 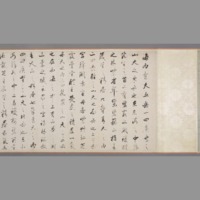 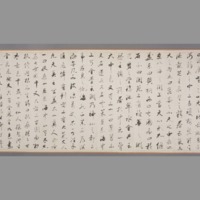 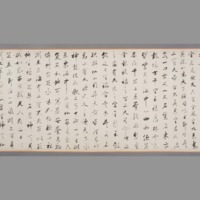 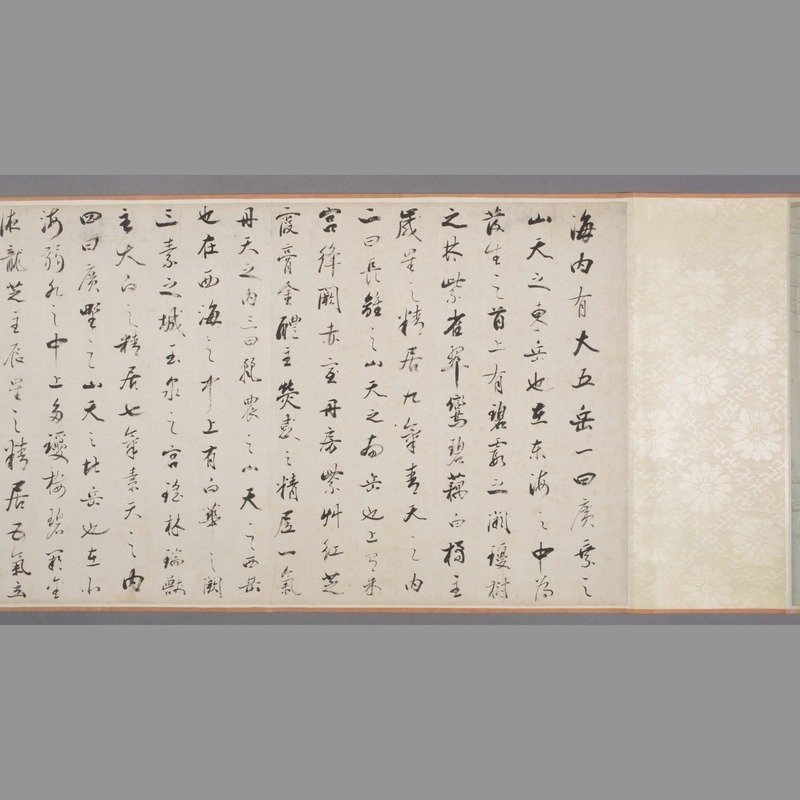 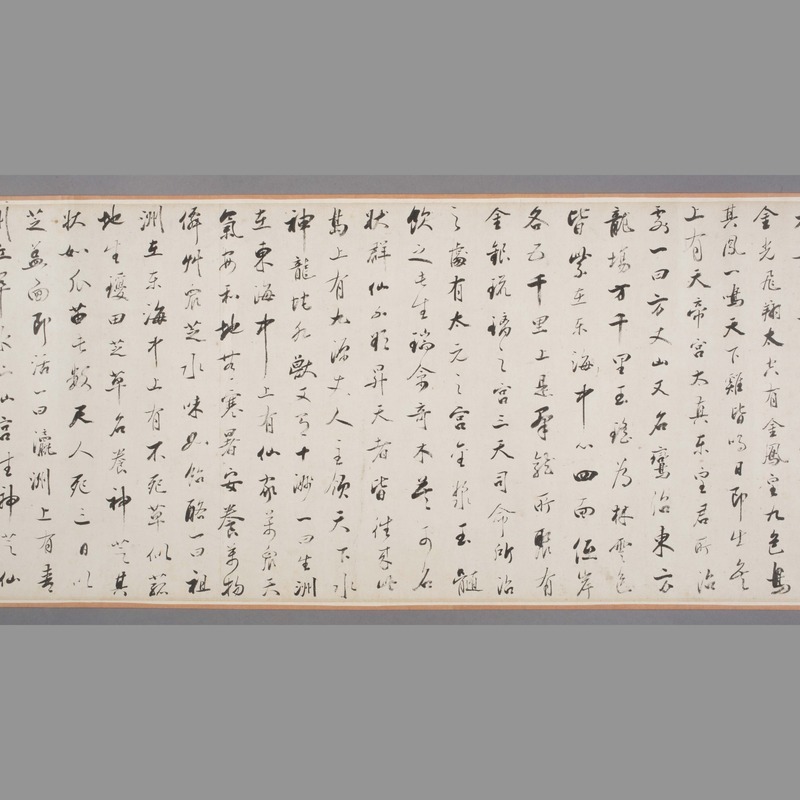 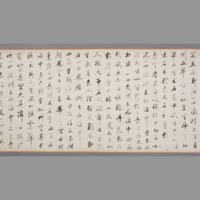 Written by Aisin Gioro Hongwu 爱新觉罗·弘旿 (1743-1811), grandson of Qing Dynasty Emperor Kangxi. 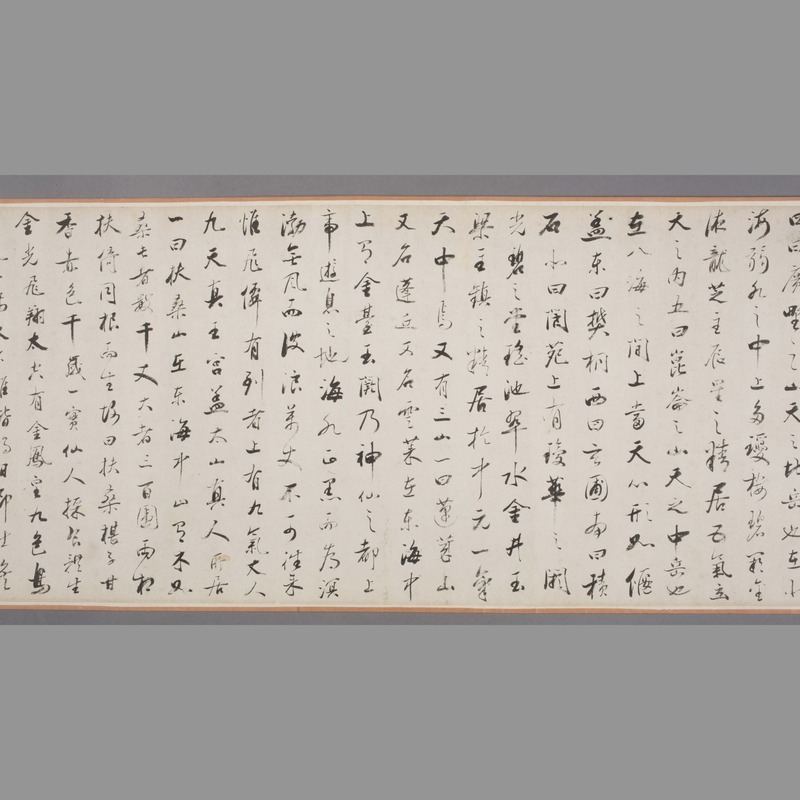 Chen Boqian (1848-1935), more famously known as Chen Baochen, served as sub-chancellor in the Grand Secretariat and as vice-president of the Board of Rites during the last years of the Qing Dynasty. 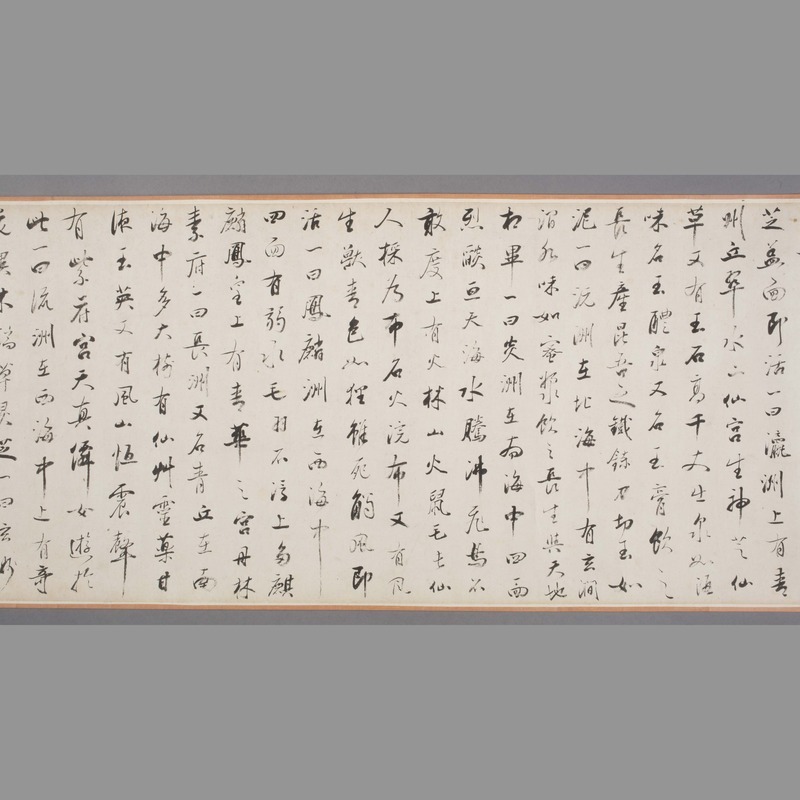 He also served as tutor and advisor to the last emperor Pu Yi. 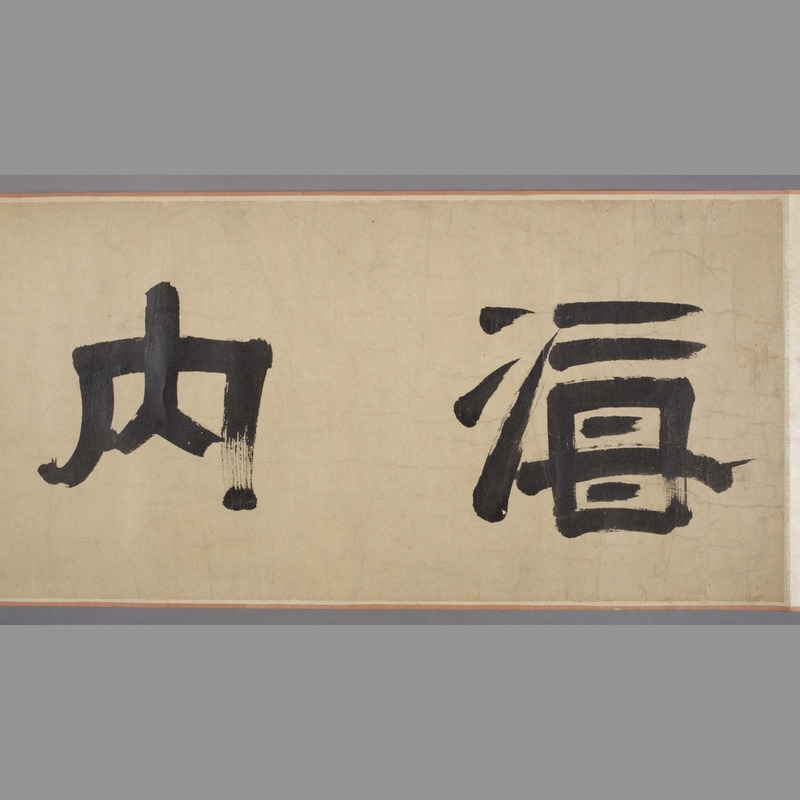 Both collector's seals belong to Chen Baochen. 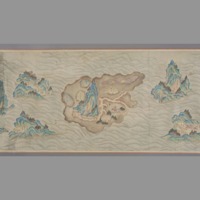 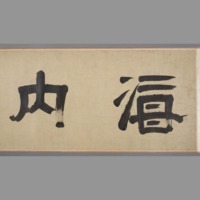 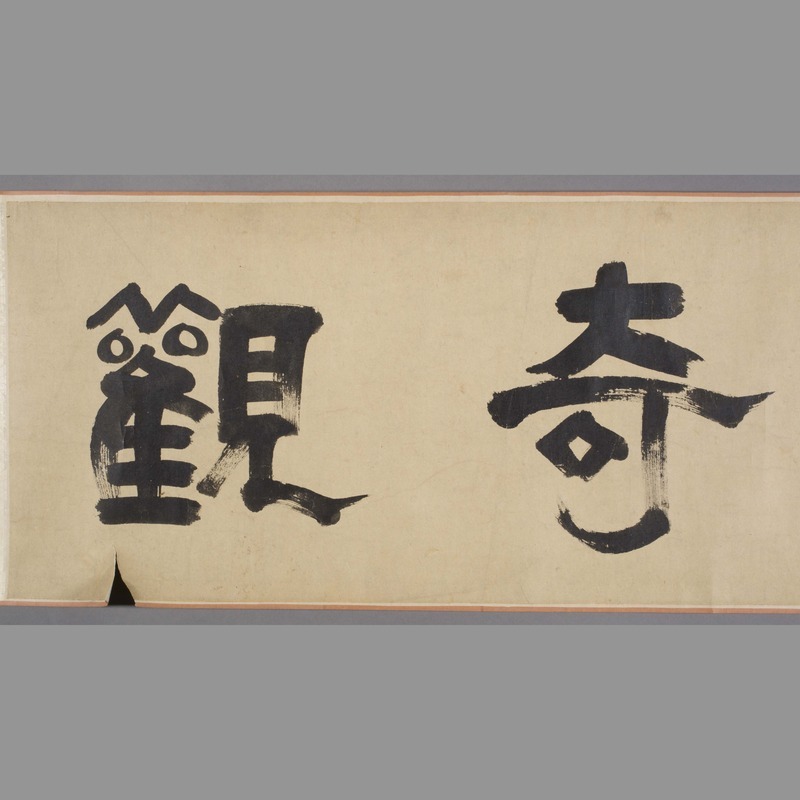 “Painting: seascape,” China, Art and Cultural Diplomacy, accessed April 22, 2019, http://rewialleyart.nz/items/show/1226.